More than a quarter of deaths on the road involve a speeding driver, and many serious and fatal collisions happen when drivers go through traffic lights on red. Where possible Local Authorities will try things like speed humps, vehicle activated signs that show a motorist’s actual speed, rumble strips, or chicanes to slow traffic down before using a safety camera. But if other methods don’t work, safety cameras are a valuable and cost-effective way to discourage people from speeding or jumping traffic lights, and to identify drivers who ignore the warnings. So they work in two ways: by actually slowing traffic at dangerous points to reduce the risk of collisions at the time, and by catching offending drivers so that they will be less likely to drive dangerously in the future. Find out more about what happens if you have been caught by a safety camera. The law gives local authorities and safety organisations responsibility for installing and operating cameras. They are put in places where statistics show a high number of collisions and casualties. Before installing permanent cameras we work in Partnership with Local Authorities to reduce risks first by other traffic-calming measures or by using temporary or mobile cameras. The cost of installing a new safety camera must be paid for by the Local Authority. For more information on camera locations, read our where are safety cameras? page. The only purpose of safety cameras is to reduce the number of serious injuries and deaths on our roads. Between 2014 and 2016 the number of people killed or seriously injured at Greater Manchester locations with safety cameras was 34 per cent lower than between 2007 and 2009. 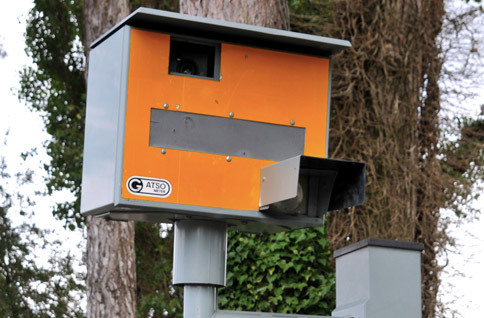 - the number of speeding vehicles fell by 70 per cent. - there was a 32 per cent reduction in the number of children killed and seriously injured.